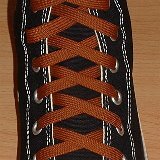 1 Gold Classic Shoelaces Black high top with gold laces. 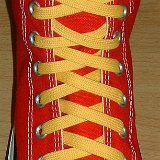 2 Gold Classic Shoelaces Red high top with gold laces. 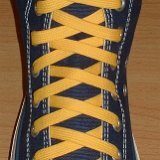 3 Gold Classic Shoelaces Navy blue high top with gold laces. 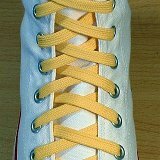 4 Gold Classic Shoelaces Optical white high top with gold laces. 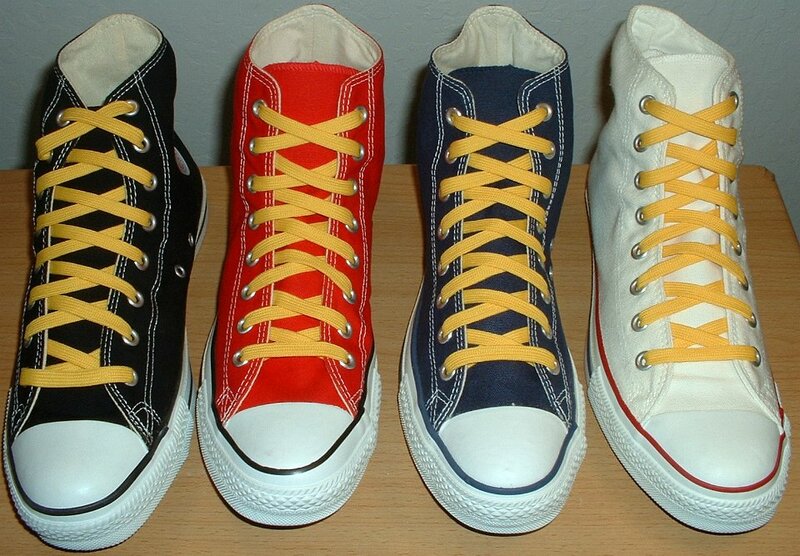 5 Gold Classic Shoelaces Core color high tops with gold laces. 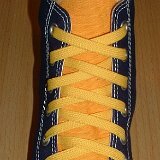 6 Gold Classic Shoelaces Purple and gold 2-tone high top with gold laces. 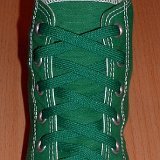 7 Kelly Green Classic Shoelaces Black high top with Kelly Green laces. 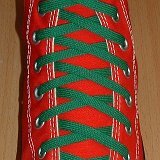 8 Kelly Green Classic Shoelaces Red high top with Kelly Green laces. 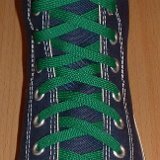 9 Kelly Green Classic Shoelaces Navy blue high top with Kelly Green laces. 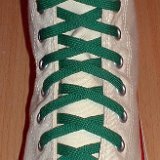 10 Kelly Green Classic Shoelaces Natural white high top with Kelly Green laces. 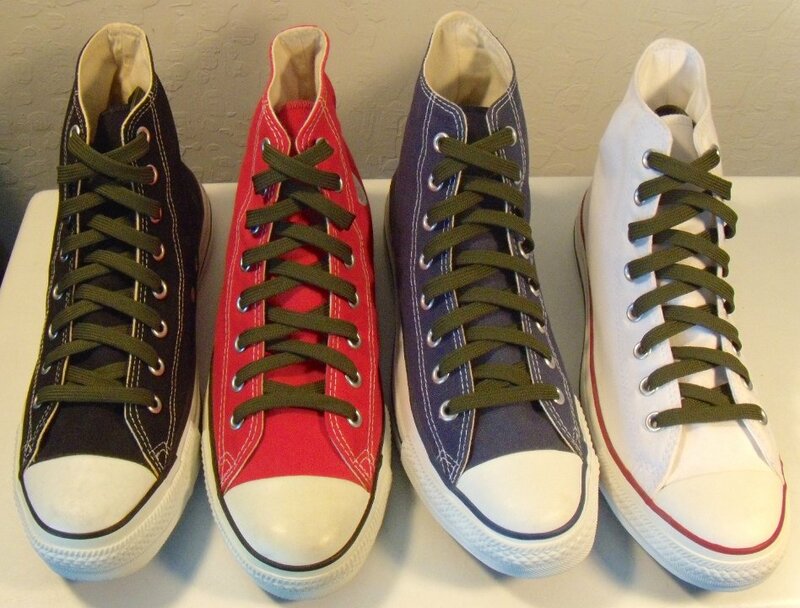 11 Kelly Green Classic Shoelaces Core color high top chucks with Kelly Green laces. 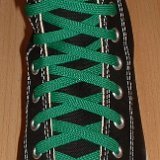 12 Kelly Green Classic Shoelaces Celtic green high top with Kelly Green laces. 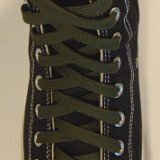 13 Hunter Green Classic Shoelaces Black high top with hunter green shoelaces. 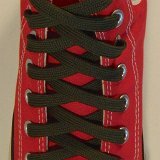 14 Hunter Green Classic Shoelaces Red high top with hunter green shoelaces. 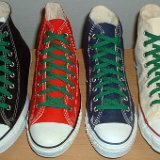 15 Hunter Green Classic Shoelaces Navy blue high top with hunter green shoelaces. 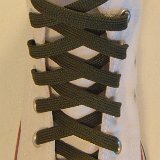 16 Hunter Green Classic Shoelaces Optical white high top with hunter green shoelaces. 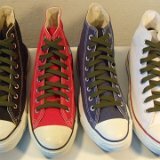 17 Hunter Green Classic Shoelaces Core high high top chucks with hunter green shoelaces. 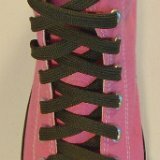 18 Hunter Green Classic Shoelaces Pink high top with hunter green shoelaces. 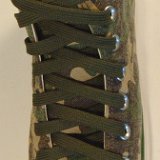 19 Hunter Green Classic Shoelaces Faded green camouflage high top with hunter green shoelaces. 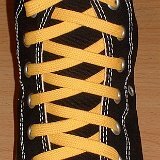 20 Old Gold Classic Shoelaces Black high top with old gold laces. 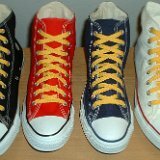 21 Old Gold Classic Shoelaces Red high top with old gold laces. 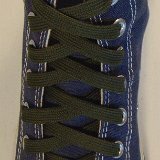 22 Old Gold Classic Shoelaces Navy blue high top with old gold laces. 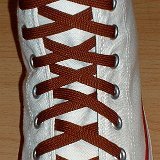 23 Old Gold Classic Shoelaces Natural white high top with old gold laces. 24 Old Gold Classic Shoelaces Core high tops with old gold laces. 25 Old Gold Classic Shoelaces Charcoal grey high top with old gold laces. 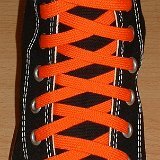 26 Orange Classic Shoelaces Black high top with orange laces. 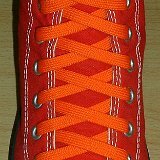 27 Orange Classic Shoelaces Red high top with orange laces. 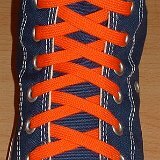 28 Orange Classic Shoelaces Navy blue high top with orange laces. 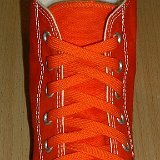 29 Orange Classic Shoelaces Natural white high top with orange laces. 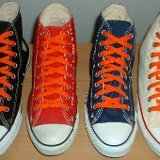 30 Orange Classic Shoelaces Core color high tops with orange laces. 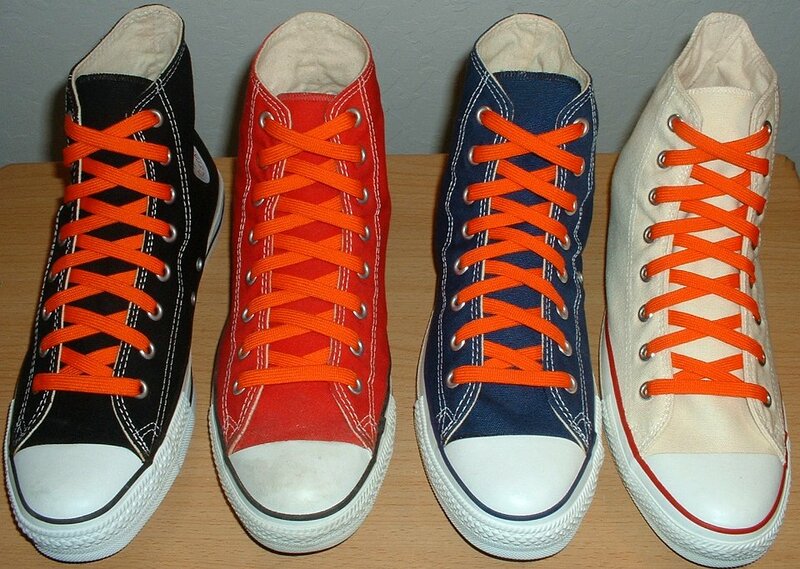 31 Orange Classic Shoelaces Orange high top with orange laces. 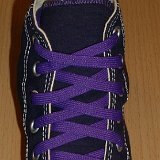 32 Purple Classic Shoelaces Black high top with purple laces. 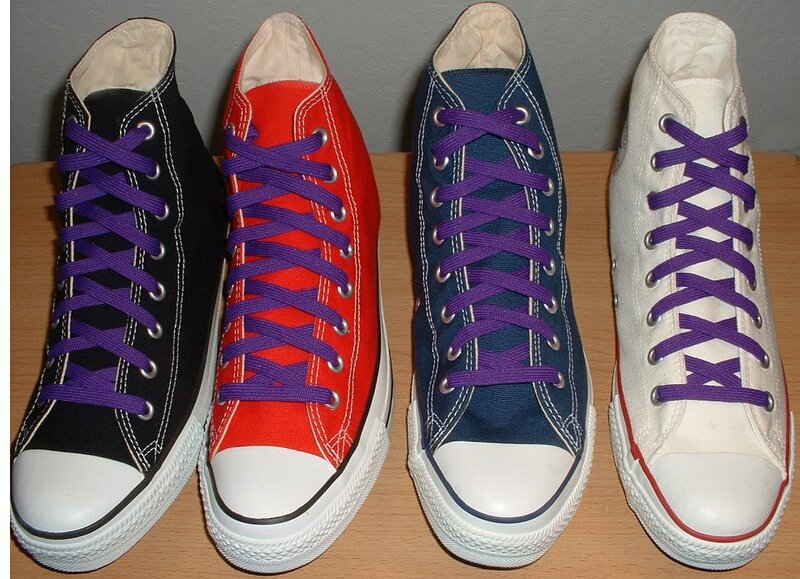 33 Purple Classic Shoelaces Red high top with purple laces. 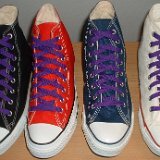 34 Purple Classic Shoelaces Navy blue high top with purple laces. 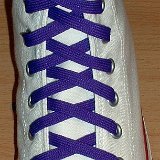 35 Purple Classic Shoelaces Natural white high top with purple laces. 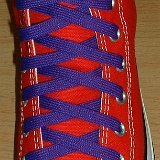 36 Purple Classic Shoelaces Core color high tops with purple laces. 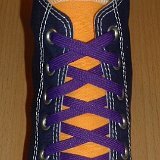 37 Purple Classic Shoelaces Purple and gold 2-tone high top with purple laces. 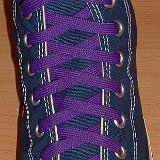 38 Purple Classic Shoelaces Rage purple high top with purple laces. 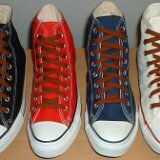 39 Rust Classic Shoelaces Black high top with rust laces. 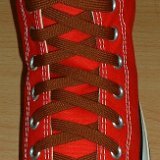 40 Rust Classic Shoelaces Red high top with rust laces. 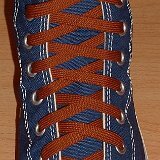 41 Rust Classic Shoelaces Navy blue high top with rust laces. 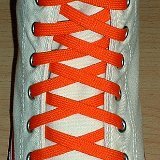 42 Rust Classic Shoelaces Optical white high top with rust laces. 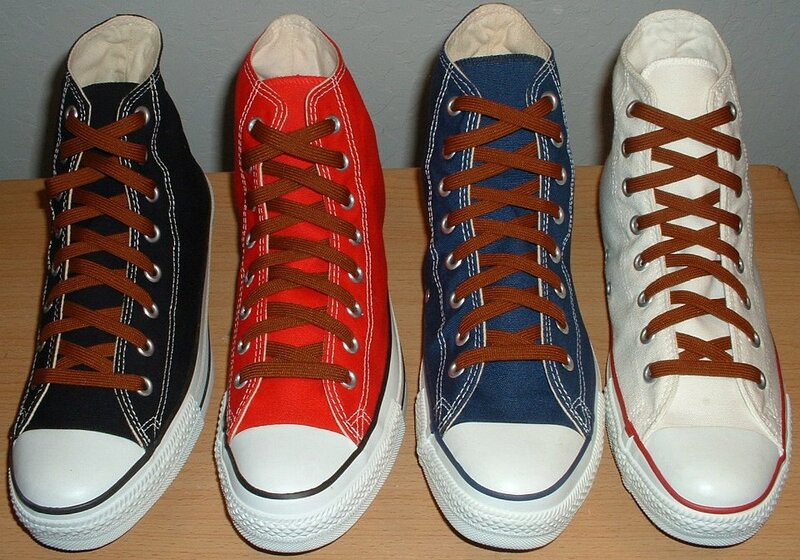 43 Rust Classic Shoelaces Core color high tops with rust laces. 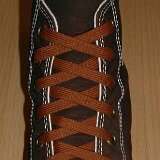 44 Rust Classic Shoelaces Chocolate brown high top with rust laces. 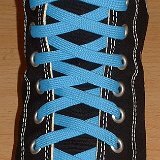 45 Sky Blue Classic Shoelaces Black high top with sky blue laces. 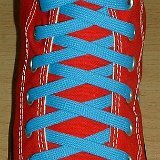 46 Sky Blue Classic Shoelaces Red high top with sky blue laces. 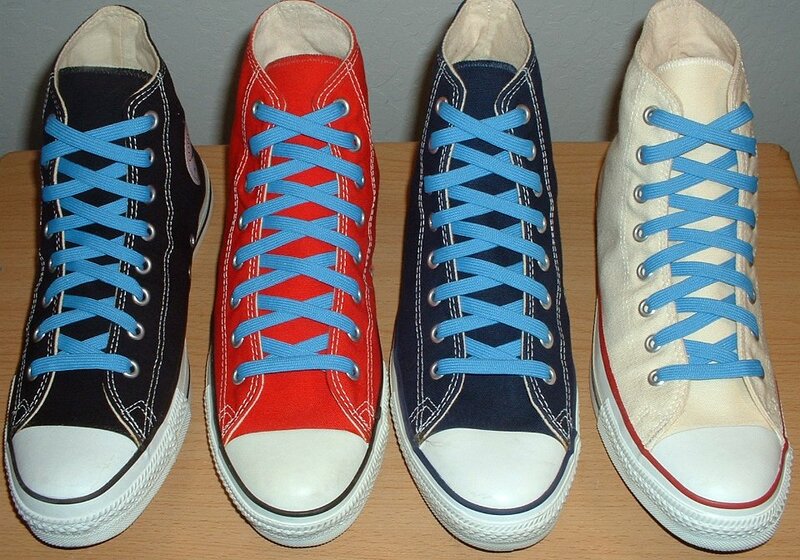 47 Sky Blue Classic Shoelaces Navy blue high top with sky blue laces. 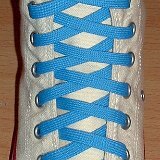 48 Sky Blue Classic Shoelaces Natural white high top with sky blue laces. 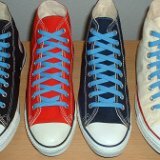 49 Sky Blue Classic Shoelaces Core color high tops with sky blue laces. 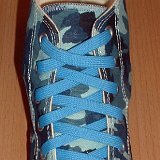 50 Sky Blue Classic Shoelaces Blue camouflage high top with sky blue laces. 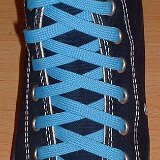 51 Sky Blue Classic Shoelaces Carolina blue high top with sky blue laces. 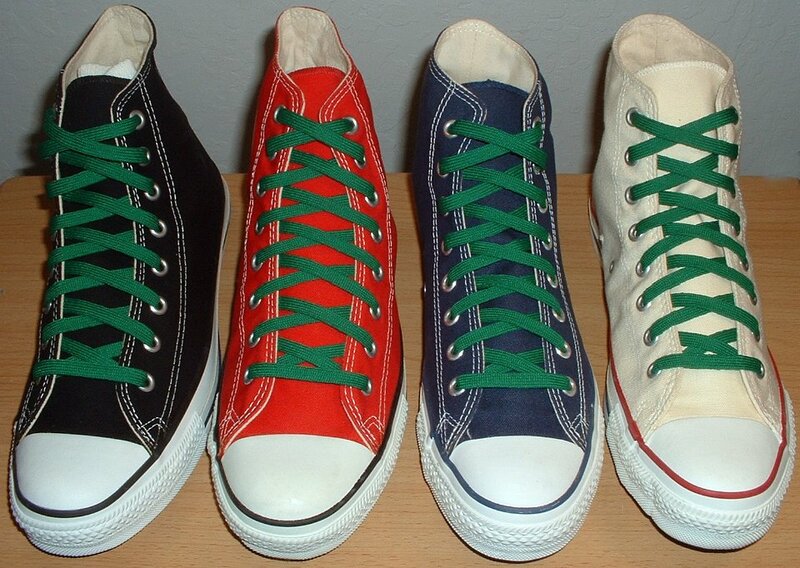 Classic athletic shoelaces are 3/8 inches wide and tubular in design.